Muda : What can a soccer game teach us about lean? Last Saturday there was a soccer game between the national teams of United States and Mexico. They played for the opportunity to attend to the Confederations Cup, a tournament that usually takes place 1 year before the World Cup. Typically this tournament is played at the same country where the World Cup will be played and with the Champions from all of the confederations in the world. The Champion from South America, Europe, Asia, Africa, Oceania and Concacaf, which is where US and MX play. This last game played on Saturday was won by Mexico, scoring a dying goal in the last minute to win 3 - 2 over the greatest rival in the zone. I`ve heard that this national team from US was`t playing at it´s best. Also heard criticism to the German trainer, and former Champion of the World, Jürgen Klinsmann since he hasn´t been able to surpass the success from previous managers that have trained US national Soccer Team. But, for me, being a mexican who enjoyed the game, and also liked the way our mexican team played, see, as a lean thinker (or at least trying to be one) many signs why Americans shouldn´t worried about men´s National Team. US Soccer Federation relies on a system that has proven to be successful in other countries. Most teams in the MLS have a development area that scouts young players and develop their skills in order to prepare them for the teams in MLS. Other countries such as Argentina, have a similar system which has proven to be really successful to produce young players and talent. Currently Argentina´s National Team is the number 1 in the world, according to Fifa World Ranking. The Mexican league also exhibits different approach from the MLS. The teams in Mexico hire a lot of players coming from Southamerica. They don´t like to invest in youngsters. Costs too much and requires time. So, its easier to hire players from Colombia, Ecuador, Argentina or Brasil. Many of them come first to Mexico, hoping to have a good season and possibly sign for a better team in Europe or come back South. Here in Mexico it is very difficult for a young player to receive an opportunity and be able to play. Cause players from South america, usually receive all attention and in some cases must play to reimburse the investment. Even if they aren´t having a great performance. In lean terms we can say that the US Soccer federation focus on the customer vs a cost decision policy used by the Mexican Federation. The results are stunning: Since 2000 Mexico has won 6 games, 5 draws and 13 victories for the US. Clearly the system is delivering consistent results. Not only for victories but almost for the same score of 2-0. Despite the results Mexico still bets on variability hoping that history will help the players overcome the system implemented in US. Also the US federation promotes long term projects, which means that unless something really strange happens, will keep Jürgen Klinsmann leading the Soccer Team. If we review the quantity of managers the US National Team has had since 2000, we can see that only three different coaches have passed through that position. As we, lean thinkers have seen over the past years, stability is something desired. Since we can manage the processes better, as we know they are stable and results can be predicted. In Soccer long term projects often bring tremendous results. If you`re not familiar with Sir Alex Ferguson, recommend you to read The Official Manchester United Celebration of his career at Old Trafford. also won the Champions League. 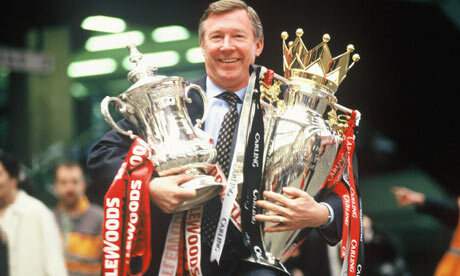 This guy, managed to stayed with the Red Devils for 25 years, winning everything a manager in Europe could desire. The Mexican Football Federation has managed to have 6 different coaches in 5 years. It is impossible to establish a project with this variation introduced in the system. Mexico clearly do not have a system to select, support and maintain coaches. Mexican team success relies in great manner on players individual skills, rather than the system to sustain victories. 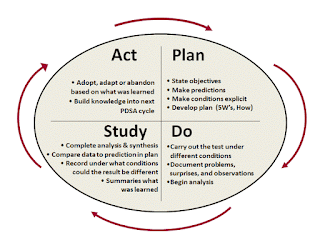 The US Federation seem to have a similar approach to the PDCA. If you review, specially the Bruce Arenas phase, clearly there was a Plan there. In fact, the Federation has said a few times that they want to win the World Cup & their plan started right after 1994. That was the plan, they have Done some great work, the numbers are clear. They have executed the plan. Now they have more wins over Mexico and clearly US is the Team in the Area. Currently they are in the Study phase. The Federation is analysing to take a decision. Wether or not get rid of Klinsman. But notice that have been 3 days since Saturday´s game. If Klinsman had been coaching Mexico, he would be unemployed by now. This clearly shows that the US Federation studies and takes decisions by consensus. Does that phrase ring the bell? 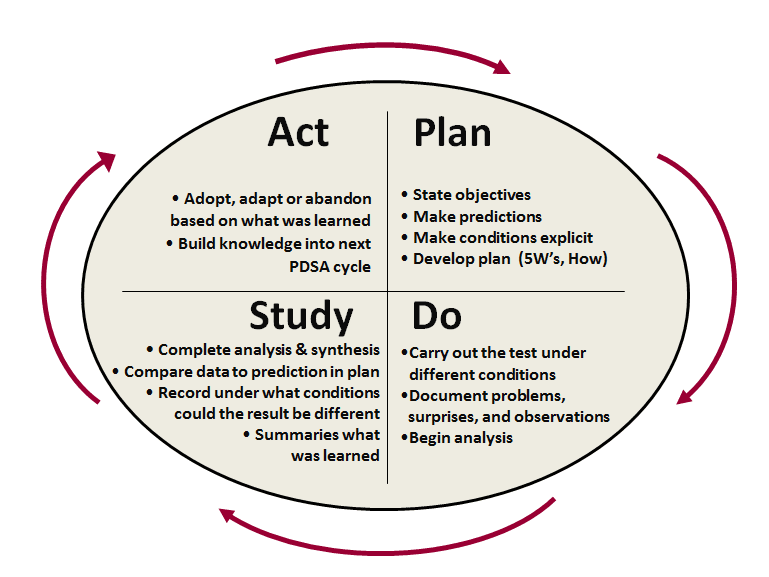 Studying, analyzing that´s taking action too. Mexico on the other hand, do not have a plan. The Mexican federation do not know what works for us to win cups. They don´t understand why they loose, either. The proof that the Mexican Federation does`t have a plan, is that the coach who managed the national team on Saturday, is leaving, and the Mexican team will have a new coach this same week. Crazy right? He won the big game on Saturday, and yet he´s leaving. And yes we will have the 7th coach in 5 years. Lean thinkers see waste in details. Details such as soccer. As we could see in this brief analysis, lean thinkers also tend to remain calm when everybody else worries. Maybe that`s why, while all the world wants Klinsman out, some how, he is still the manager. Is like when you look at a control chart. Analyze a little bit, and decide that you will not take action. Since the graph reveals that the process is in control and stable. These are my reasons to believe that americans should´t worry so much about soccer and their current coach. Mexicans on the other hand, better enjoy this victory, cause I´m not sure it will be a nice road to Russia 2018. As always, thanks for reading. Would love to read your thoughts. Don´t be shy and leave a comment.